Three boys from a soccer team who were rescued from a flooded cave in northern Thailand last month were granted Thai citizenship on Wednesday, authorities said. Their 25-year-old coach, Ekapol Chanthawong, also gained citizenship. 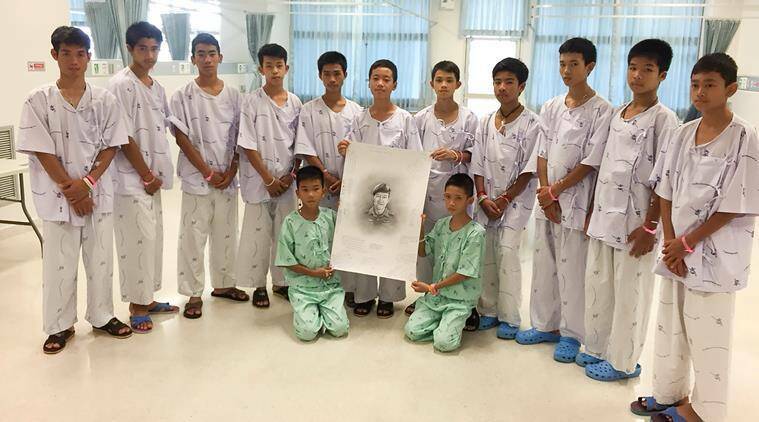 Ekapol and 12 boys had gone to explore the Tham Luang caves in Chiang Rai province on June 23, when a rainy-season downpour flooded the cave system and trapped them underground. They survived for nine days on water dripping from rocks before they were discovered. An international effort to rescue them ended on July 10 when they all were brought out safely. Citizenship requests for some twenty other people, most of them children, were also approved, Somsak added. Many stateless people in Thailand come from areas where national borders have changed, leaving their nationality in question. Some belong to “hill tribes” living in remote areas with limited access to information about nationality procedures, according to the United Nations refugee agency. The cave ordeal highlighted the plight of people from Cambodia, Laos and Myanmar living in Thailand who are denied some rights and opportunities because they are not citizens. More than 486,000 people are registered as stateless, according to official data. Of that number 146,269 are younger than 18 years old.